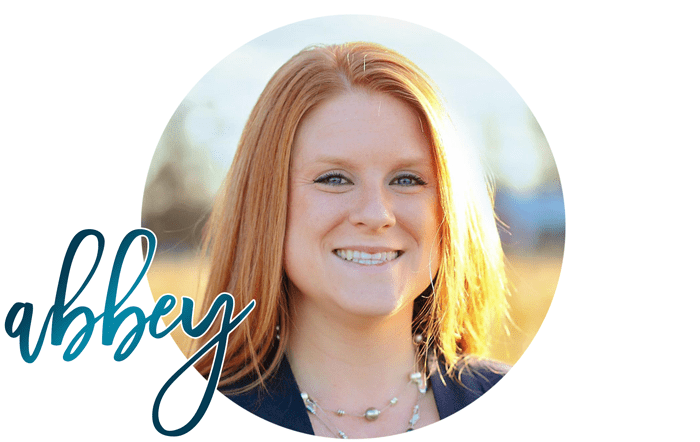 This week we’re back with another awesome blog hop with some of my favorite bloggers! This month we decided our theme should be FOOTBALL! With college football and NFL starting up this week, it seemed the perfect fit and we all set off to work hard on our projects. Today I’m sharing with you a Mason Jar Football Cutlery holder…and then below you’ll see 10 other ideas from my friends! Whenever I host parties, I tend to like putting my silverware and cutlery in mason jars for my guests. 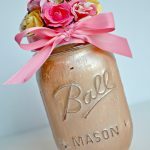 I have a pretty large collection of mason jars to be used for favors, drinks/cups, cutlery holders, vases, and more. 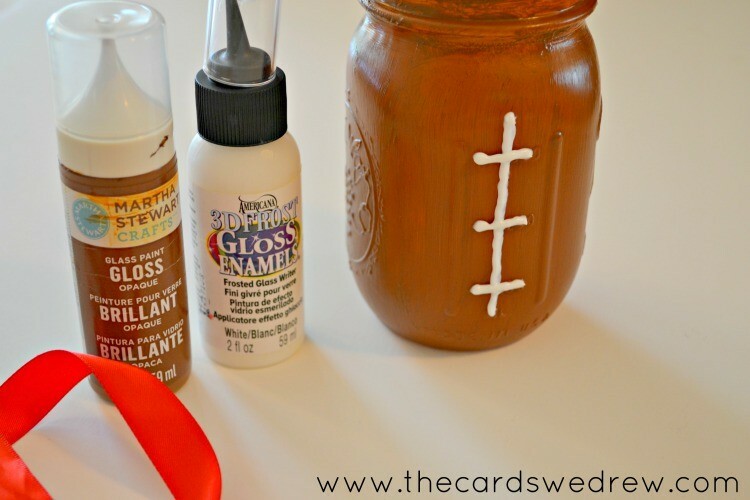 So when I started thinking about football and tailgate ideas I thought it would be really cute to dress up a typical mason jar with a little football touch to it! Best part, this project cost me NOTHING because I had all my supplies on hand. And it took a matter of minutes to make! Ribbon in your choice of color! 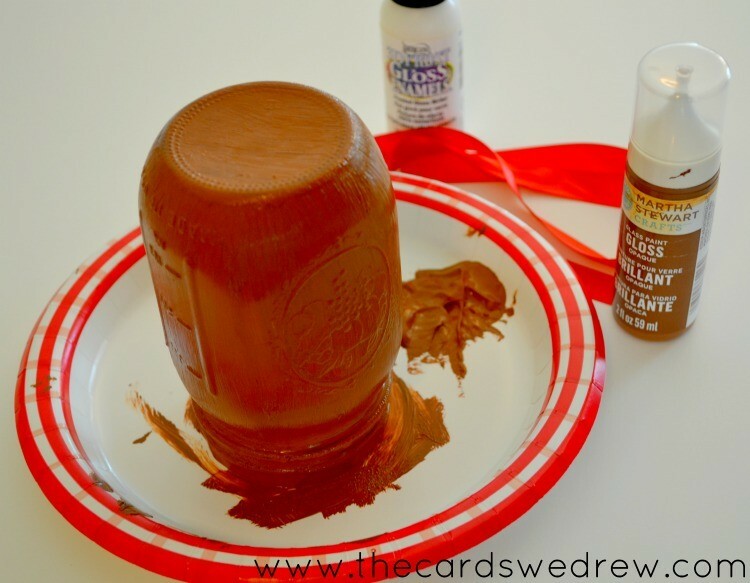 You start with you items and by painting your mason jar. I only used one coat, but you could use two if you’d like more coverage. After your glass has been painted and has dried (can take a few hours) I simply drew a straight line down the measuring side of the Mason Jar…and I used the already in place horizontal markings for the guidelines of my football laces. I allowed the white to dry for about an hour and then I tried my ribbon around the top to add a bit of girlishness to it. 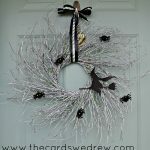 Add your cutlery/silverware/flowers/favors, etc. and TADA! You have yourself a cute little mason jar football. Click on the photo below to be taken to each individual blogger’s project. 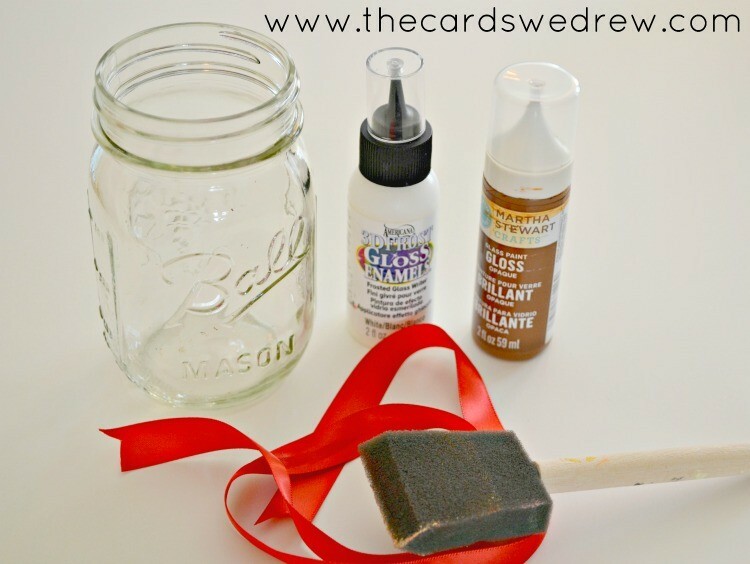 Painted Flower Mason Jar Gift Idea + Blog Hop! Cute, great idea. 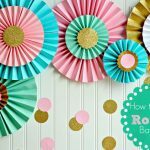 These would also be great to package up party favors! What a cute idea Abbey! I love how practical this is but so fun! You are too smart for your own good sista! 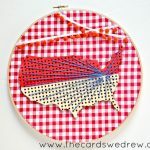 Love this simple yet hello adorable idea! 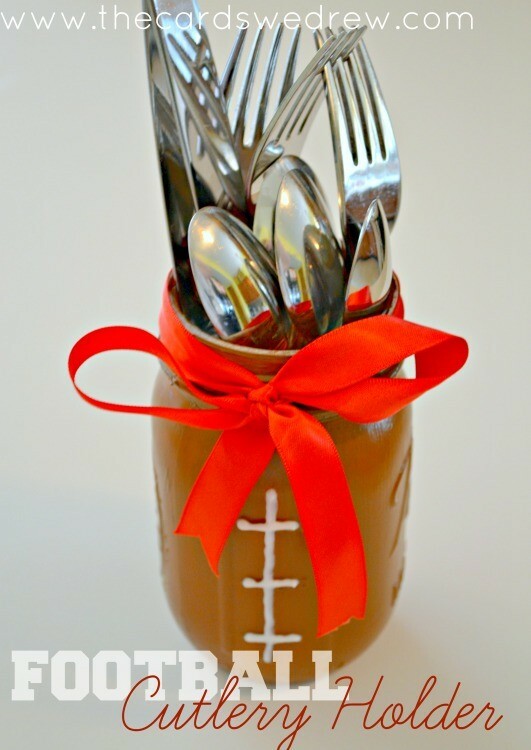 That football cutlery holder is awesome! I love it. When I saw it at TT&J I knew I had to find it and make one for myself 🙂 Now I am going to go look at the other awesome projects! Drink out of it? If so, what would you use? There are different glass paints that will tell you whether they are safe to eat and drink off of. If nothing else, if you decided to paint a wine glass, maybe try not to put paint where you’ll be drinking from OR make sure the paints are safe for eating/drinking uses.